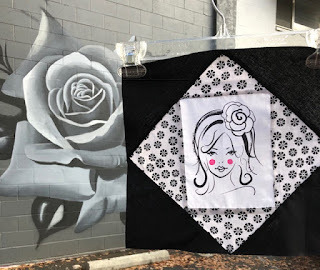 We interrupt the regularly scheduled program of the Countdown to Christmas for the last quilt block (black and white prompt) in the 2018 Monthly Color Challenge with Jen at patternsbyjen.blogspot.com. 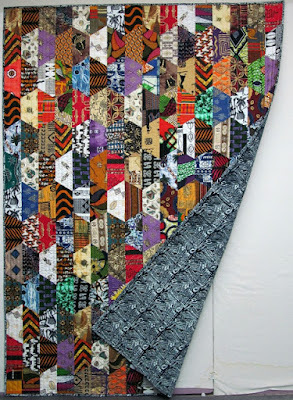 This post is about quilting, quilting goals, fabric, and sewing machines. I bought the half yard of black and white fabric faces so I could fussy cut each character. I also have this other black and white remnant with adorable colorful characters for another project. 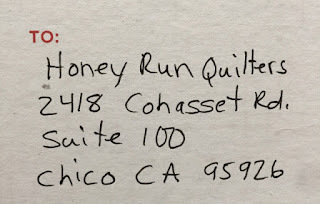 for quilters in Paradise, California, who lost everything in a massive wildfire. This quilt shop is gathering donated materials so victims of the recent tragedy can shop for free. Spice it Up - I bought this collection for my daughter's quilt. The first time I have bought an entire line of retail fabric. It is so rich and colorful. This quilt is "first up" in the project queue. Redwork-this may be a quick project if I go lap-sized. Bento Box - Bento box blocks made with Asian-inspired fabric. Fabric pulls - I like the fabric but don't have blocks in mind. 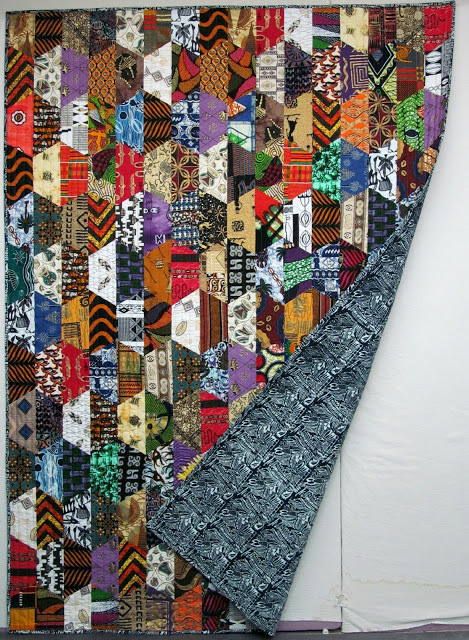 Batik Half Hexi-Or as one of my fav quilter's named it African Half Hexi (reposting from exuberantcolor.blogspot.com). I've got batik fabric for days, but I may have to begin collecting African-themed pieces for this fun design. Mariner's Quilt - Not the Mariner's compass, beyond my level of expertise right now, but an ocean/fish-related one. Americana Quilt - gathering material and may combine this with a BOM, if I can. Before any of that 2019 stuff happens, I will finish my Art with Fabric Blog hop composition quilt (here). 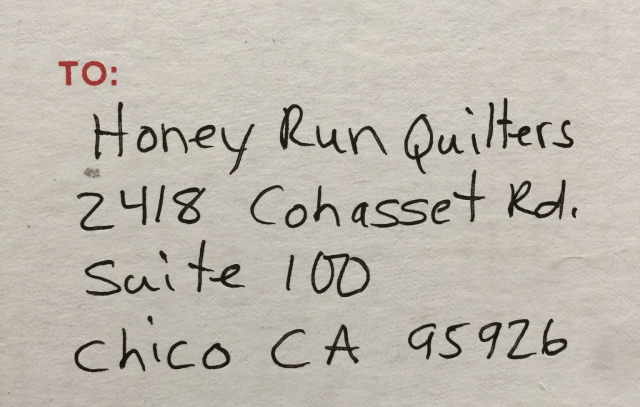 About 1/3 is quilted and I am not rushing this one as I might enter it in the California State Fair competition. Finally, the Christmas present to myself, this White 3355 purchased for $20. In comes the White, out goes the Singer 457. I bought that one for $18 but am sending it back to the Great Thrift Shop Beyond. After trying to coax the 457 into working perfectly, it remained balky and skipped stitches and wouldn't zig zag. Let's see if this White will zig and zag. Love these retro blue machines, now if I could just find one in pink.